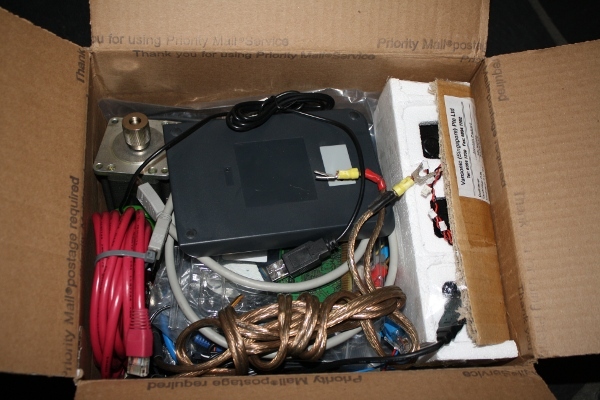 A mysterious package showed up on my doorstep today - box "INTJ-28", an instance of the The Great Internet Migratory Box of Electronics Junk, also known as TGIMBOEJ, which is the invention of a group called Evil Mad Scientist Laboratories (note: I am not making this up). The concept is someone sends a box of electronics junk to a recipient (e.g. me), the recipient takes some parts, adds some new parts, and sends it to a new recipient. Each recipient documents the box. There are currently about 120 of these boxes roaming the world. How did I end up with this box? 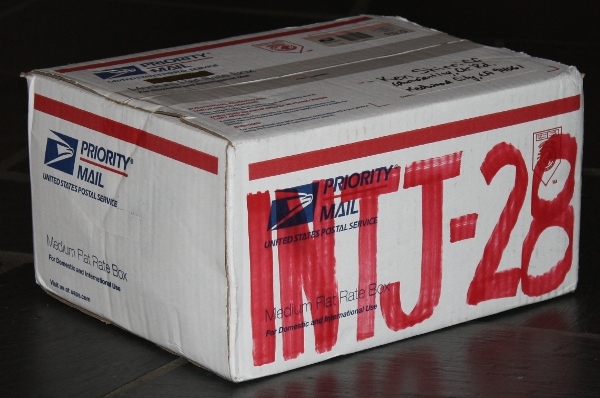 I signed up on the request list a bit over a year ago, and was recently chosen by Mr. INTJ to receive a box. In other words, some total stranger on the internet sends me a box of junk. In turn, I've picked another total stranger from the list to receive the updated box of junk. 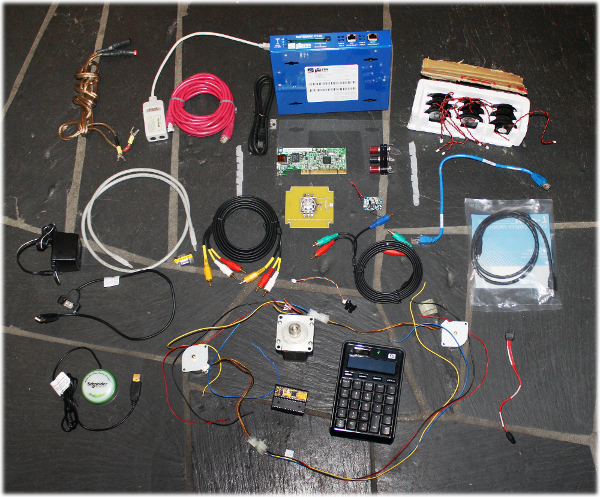 I ended up taking the big stepper motor, the LED, a few cables, the binding posts, one of the speakers, and the ecobutton. What I added to the box will be a surprise to the next recipient, whom I hope will post soon. The box with nine speakers may be a speaker array; you can create directional sound with those.